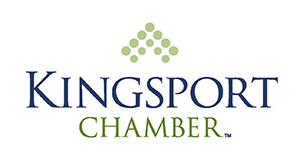 KINGSPORT, Tenn. – The Kingsport Office of Small Business Development & Entrepreneurship (KOSBE) is pleased to announce 21 finalists for the 24th Annual KOSBE Awards. Winners will be declared at a special recognition event on Thursday, December 13th, from 6 to 8 PM, at The Meadowview Marriott Conference Resort & Convention Center in Kingsport, Tennessee. Current sponsors include Phil's Dream Pit, Cumberland Marketing, Millennium Auto Collision Repairs, Eastman Credit Union, Eastman, Prendergast Construction Company, First Tennessee Bank, Knoxville TVA Employees Credit Union, Pathway Lending, NETWORKS - Sullivan Partnership, Triten Insurance, Tri-Cities Military Affairs Council, AdviCoach, East Tennessee Eye Care, Hillhouse Graphic Design, Fanatics 101, Honda Kingsport, The Bagel Exchange, Powell Valley National Bank, Food City, Fish Window Cleaning, Sun Trust Bank, Bridge Pointe Real Estate and The Reeves Eye Institute.